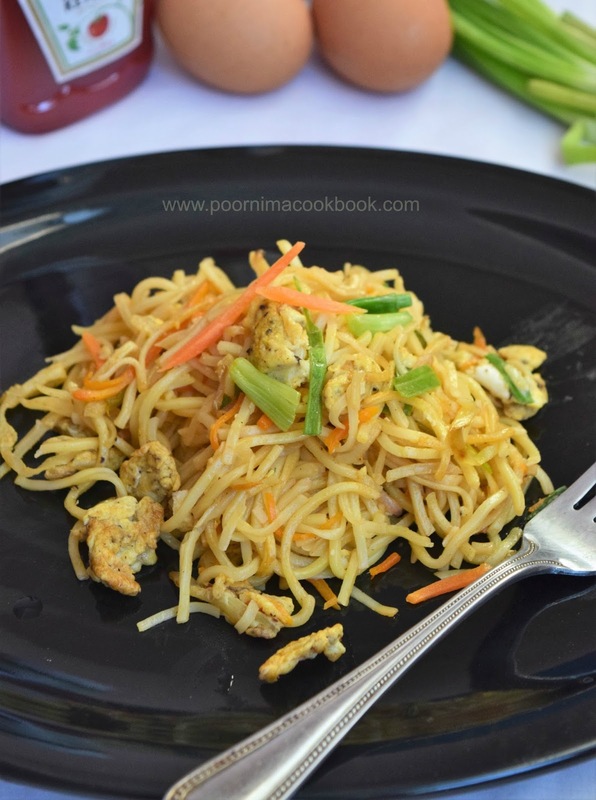 Hakka noodles is one of the popular & favorite Indo Chinese recipe liked by all. 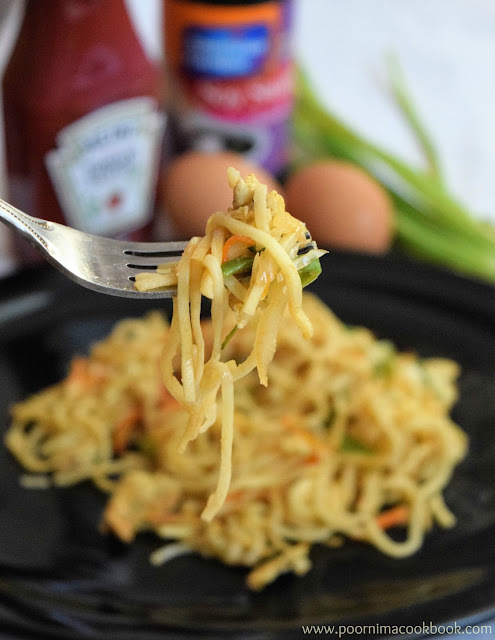 An addition of egg along with crunchy vegetables give the dish a good texture. 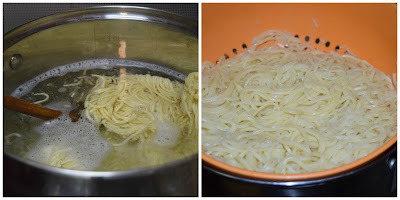 It is easy to get restaurant style noodles in your dinning table by yourself! Though it tastes yummy as it is; you can also, try it along with Chilli Paneer, Gobi Manchurian, Chilli Mushroom, Chilli Chicken. Add water and a tsp of oil in a pan and allow to boil. Once it starts boiling, add the noodles to it and cook till it becomes soft but firm. Once it is done; drain and keep aside. Chop all the vegetables and keep it ready. Break the eggs in a bowl by adding salt and pepper. Beat well and keep aside. Heat oil in a wide pan, add chopped onion and garlic. Saute till the onion becomes translucent; but make sure not to burn the garlic. Next add all the vegetables, salt and pepper; stir fry for 2 to 3 minutes till it is cooked but crunchy in texture. In the side of the same pan , pour the egg mixture and scramble it. 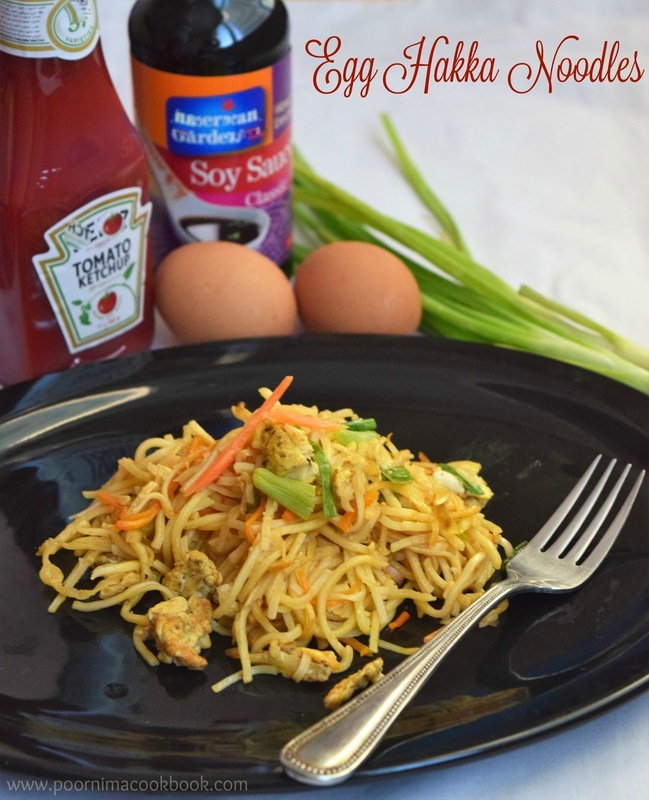 Then mix it with the vegetables along with soya sauce, chilli suace, tomato sauce and pepper powder. Give it a mix. 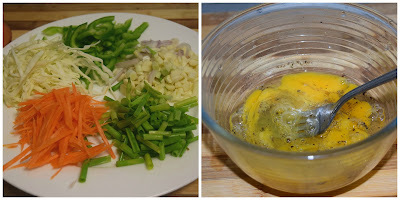 Then add the cooked noodles, spring onion and toss it well.